Keen Koala: Grilled Zucchini Boats Recipe - Vegetarian, Gluten Free, and Keto Friendly! 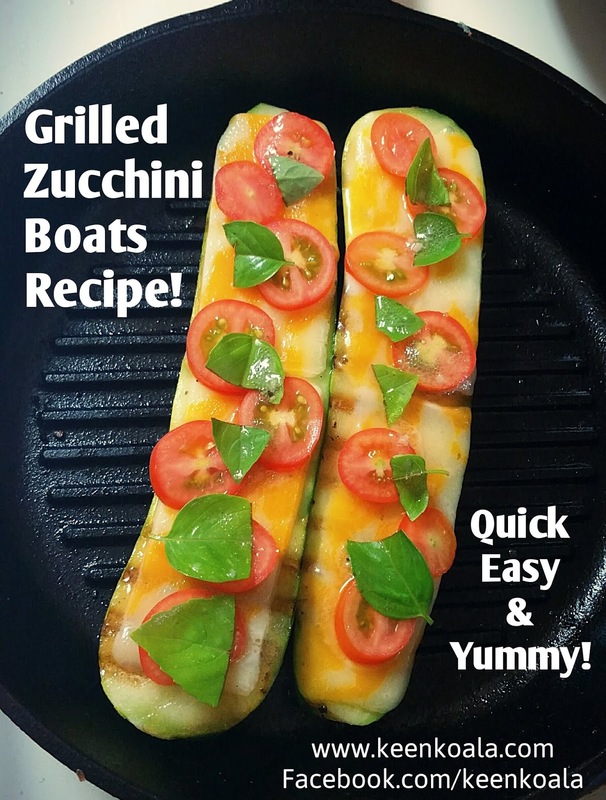 Grilled Zucchini Boats Recipe - Vegetarian, Gluten Free, and Keto Friendly! I love this time of year. We have been harvesting one zucchini per day! After eating fried zucchini every day for the last two weeks, I thought I should try something different. 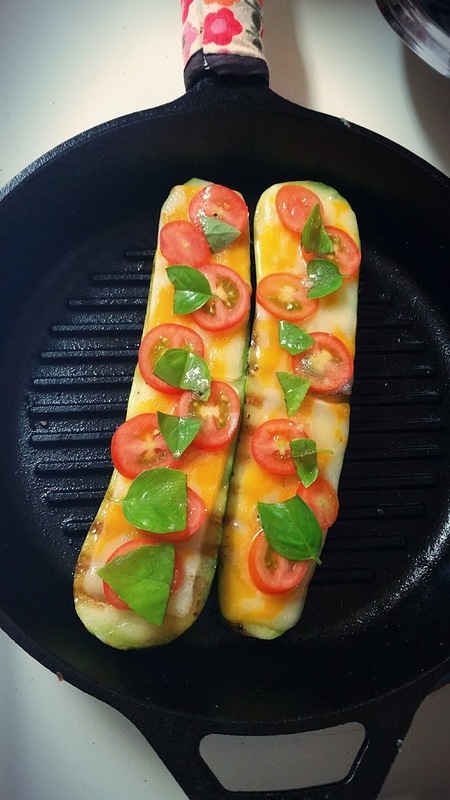 Enter grilled zucchini boats. These zucchini boats are delicious and tender, and will surely have your guests coming back for more. They can be made to suit meat eaters and vegetarians alike depending on the toppings you use! Today I made vegetarian friendly tomato and basil zucchini boats in my favorite Lodge cast iron grill pan. If you don't have one of these, I would highly recommend it. They're so versatile and will last a lifetime. Check it out HERE (Amazon Affiliate Link). Now, let's get to the recipe. - 1 medium zucchini. Make sure it's not longer than your frying pan. 1. Heat up a cast iron grill pan over medium heat. 2. Cut your zucchini in half length wise and rub both sides with butter. 3. Grill the zucchini cut side down until the whole zucchini is almost cooked through. 4. Flip the zucchini. Add your cheese, tomatoes, basil, and a squirt of vinaigrette dressing. 5. Continue grilling until cheese starts to melt. I hope you enjoyed this recipe as it's one of my favorites. Please LIKE Keen Koala on Facebook for more awesome posts like this by clicking HERE!